New! Lance Valentines's Signature Series "THUMP 'Em Up!" scented plastics. These new plastics were designed specifically for the dificult conditions anglers face on the Detroit River. This next generation of plastic bait is a significant improvement over the plastics from just a few short years ago. THUMP 'Em Up! plastics are designed to perform better in current, hold up bettter on your jig, and are scented to attract neutral feeding walleye. Detroit River walleye action really heats up by late April and continues well into June. Tip your jig with a THUMP 'Em Up! 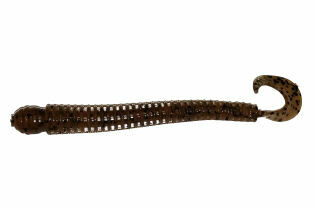 plastic bait and one of our removable stinger hooks and you have the hottest combo on the river. These are the same plastics Lance Valentine uses on his Detroit River charter trips out of Wyandotte, Michigan.